NEVER HESITATE WHEN IT COMES TO RAINMAKING. So says Janice Brown, founder of Brown Law Group located in San Diego, and serving the southern California area. “Lawyers are smart people looking to be smarter. For a lawyer to think they need XY and Z skills to get out and develop new business is a trap. 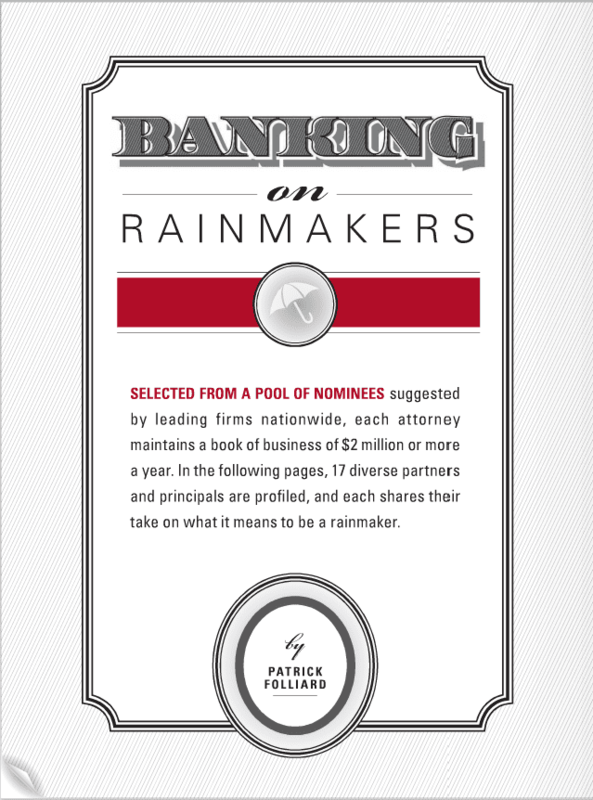 The skills are a given, but what lawyers need to know is that rainmaking is about building trusting relationships. In the long run, they will benefit with results that matter… a book of business.” After four years as a trial attorney in the U.S. Department of Justice – Tax Division, Brown started as an associate at a midsize firm in San Diego. Almost immediately Brown says she noticed that the happy lawyers were the ones who had their own clients. 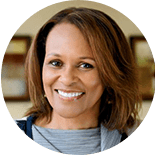 Determined to become one of those lawyers, Brown immersed herself in business and personal development classes, creating her own network of clients. As a result Brown was asked to join the firm’s executive committee in 1995. “BUSINESS DEVELOPMENT? 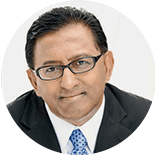 I WORRY ABOUT IT ALL THE TIME,” says Orrick partner Neel Chatterjee. “It is essential to ensure stability of the group. Any one case can go away and change everything. 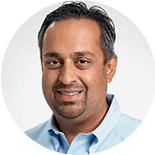 So I always worry about the pipeline of opportunities.” Known for creative problem solving, Chatterjee concentrates his intellectual property practice on complex litigation for technology companies. 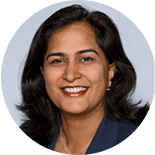 Cutting-edge internet cases have helped him with branding and market positioning, but “the real rainmaking started on the patent side of things, which is a much more congested practice area.” Chatterjee has very specific ideas about how to build a fulfilling career. In fact, he has tailored a presentation on successful lawyering for diverse law students titled “Achieving Maximum Awesomeness.” He breaks it down neatly into a few concepts: Go for the twofer (achieve two personal interests at once, such as business development through public service), be bionic (try harder and exert more effort), and love what you do by doing things you feel are important. AS A YOUNG LAWYER, ERNEST GREER FOUND OPPORTUNITIES WITH SMALL BUSINESS OWNERS. “They were my first clients. My job was to ensure that nothing kept those then-fragile businesses from prospering. 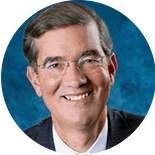 As they grew, I became their outside general counsel.” Over time, as Greer’s practice expanded and he started doing litigation for bigger corporations, he continued to work with those ever-growing first clients, making it a specialty. 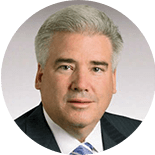 Today, he is a managing shareholder in Greenberg’s Atlanta office, and his practice includes litigation, corporate, bond work, and economic development. 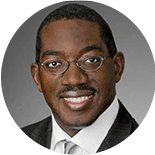 Still, he credits those early years as general counsel to several small companies and participating in their growth for allowing his career to grow in the way that it has. “I’m a litigator who thoroughly understands how corporations work. You don’t always find that,” he says. 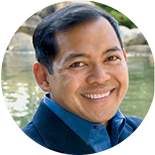 “YOU CAN’T THINK ABOUT YOUR BOOK OF BUSINESS TOO MUCH,” says rainmaking attorney Marty Lorenzo. “If you set out to build a skyscraper, it can be a daunting task. But if you focus on laying each brick and enjoying the work, it’s not so hard. At the end of the year, you look up and say ‘Wow. Look what I built.’” A partner at DLA Piper in San Diego, Lorenzo began his career as a litigator before concentrating on corporate. Today, much of his practice involves acting as an outside general counsel for clients, especially for those with smaller legal departments. Lorenzo becomes immersed in their businesses and goals. This way he can be part of decision-making as an extension of clients’ management and give optimum service. “Taking a holistic approach to client relationships takes time at the front end,” Lorenzo says. 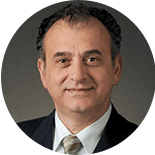 “But truly understanding a client’s mission and vision allows me to give well-rounded advice, anticipate their needs, and keep focused on the client’s ‘big picture’.” Over the years, Lorenzo has reinvented himself as clients’ needs change. First he did IPOs in the late ’90s, and when the stock market bubble popped, he got into mergers and acquisitions. “A lawyer has to be able to sharpen the skill sets in demand to address clients’ needs,” he says. “To really be a value-add to clients, we also need to possess enduring traits like good business sense and leadership.” Lorenzo honed his leadership skills as he came up through the ranks in the Marine Corps Reserves, where he is now a major in his 24th year of service. AKERMAN SHAREHOLDER CARLOS MÉNDEZPEÑATE CREDITS A LOT OF HIS RAINMAKING SUCCESS TO RELATIONSHIP BUILDING. In the early 1980s, Méndez-Peñate left his position as an associate at Coudert Brothers in New York where he had represented prominent Latin American corporations and financial institutions, specifically to start a Latin American group for Holland and Knight in Miami. At the time, he says, Latin America was emerging from a lost decade of debt defaults and recessions, and Miami was nothing like the thriving city it has become today. Based in Florida and trained in New York, the Cubanborn attorney was well positioned to take advantage of emerging opportunities. 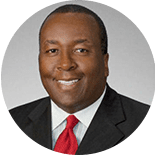 PRIOR TO OPENING PETER LAW GROUP IN LOS ANGELES IN 2009, Arnold Peter was both a lawyer and business executive at Universal Studios and then headed up the global entertainment and media practice of a large international law firm. 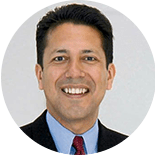 Peter’s practice is unique: He handles both litigation and transactional matters, mostly in the entertainment industry. Both his firm’s labor and employment litigation disputes and transactional practices focus on film and television production. 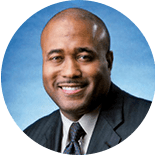 “YEARS AGO, A CLIENT SAID TO ME AT THE CONCLUSION OF A TRIAL, ‘THE REWARD FOR DOING A GOOD JOB IS THAT YOU GET TO DO IT AGAIN,’” says rainmaker Lindbergh Porter. “That comment has remained with me through the years. Whether it’s a client I have ongoing matters for or one who retains me every two or three years, existing clients are the best source for business development.” Porter began his career at Littler’s San Francisco office as a summer associate in 1980 and with the exception of seven years at a general practice firm (1999 through 2006), has been there ever since. AS A PARTNER AT SIDLEY AUSTIN, IMAD QASIM SAYS EACH DAY AT THE FIRM IS DIFFERENT. 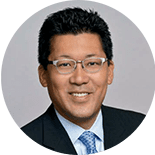 While he regularly advises public companies and their boards on corporate governance and securities law matters, the biggest part of his practice is transactional work. And some of his favorite things are negotiations, problem solving, and give-and-take. Fortunately for him, his practice area fits all of those things. In advising associates he suggests, “Aim to do excellent work, but keep in mind that we are not a guild working in a vacuum. We also need to meet our clients’ needs efficiently. And always return your clients phone calls promptly. That alone is half of what they need. Bird, Marella, Boxer, Wolpert, Nessim, Drooks & Lincenberg, P.C. “THINGS HAVE NEVER BEEN MORE COMPETITIVE,” says Ekwan Rhow, a partner at Bird Marella, a boutique firm with 35 lawyers specializing exclusively in trial work and business litigation. “In areas where boutiques did not face competition from larger firms they do now—in terms of work and rates. Partners at larger firms are facing increased pressure to generate business.” Still, Rhow says, boutique firms prevail for a variety of reasons: They focus on one area of practice. In Bird Marella’s case, trial work and complex litigation. As such, they are perceived as having superiority in that area. In addition, boutique firms can ultimately off er better service and competitive rates. Finally, because the partners at boutique firms often have individualized relationships with the GCs of the companies they represent, the client relationships are stronger. 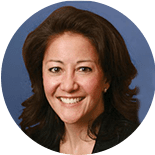 The turning point in Rin-Laures’ career came when she re-entered private practice after having served as general counsel in a publicly held biotechnology company. “It gave me confidence and an understanding of what in-house people do. I reported to the CEO and sat with the management team and made decisions about the future of the company. 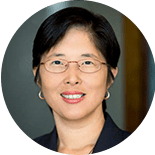 All of that improved my ability to give advice.” Her insider perspective, technical expertise, and industry knowledge acquired from managing patent portfolios for different FDA-approved drugs allow her to off er clients creative solutions. Today, says Rin-Laures, her strength continues to lie in showing clients how she can help solve their problems and use IP to achieve their business goals. Looking forward, she is proud to see junior attorneys replicating what she has done in terms of forming long lasting, trusting relationships with clients. “SITTING BEHIND YOUR DESK WILL NOT MAKE IT RAIN,” SAYS RICHARD SMITH. As the head of Fulbright & Jaworski’s white collar crime and government investigations teams, Smith spends a lot of time travelling the country and overseas conducting investigations. At the same time, he provides legal advice and counsel to the NFL Players Association (NFLPA). 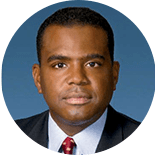 Additionally, he litigates complex cases, defending corporate America in federal court before numerous federal agencies, such as the Department of Justice, the Securities and Exchange Commission, and United States Attorney’s offices throughout the country. Smith describes his business development technique as a multi-tiered strategy. First, he captures the low-hanging fruit, the people to whom he has immediate access. In other words, he markets himself to his partners to ensure that they know his expertise, and to determine areas in which they can collaborate. Secondly, he markets his group’s strengths to current firm clients. He participates in various panels, seminars, and training for the ABA and other entities nationally; he also writes and is published often. “I’m a firm believer that you reap what you sow,” says Smith. “I’m willing to do the hard work in pursuit of new business.” For example, says Smith, his group will do a seminar or training on the Foreign Corrupt Practices Act (FCPA) or compliance for a client free of charge, but in return they will ask the client to invite all of their assistant general counsel globally. This way, he adds, he can service a current client while simultaneously gaining exposure with prospective clients. But primarily, he credits his rainmaking status to producing an excellent product, being available for his clients, and an unyielding drive to be the very best. ASHLEY TAYLOR IS GROUP LEADER OF REGULATORY COMPLIANCE AND GOVERNMENT LITIGATION at Troutman Sanders. Taylor worked hard on developing an accurate description of his practice, because he wanted clients and new lawyers joining his team to understand the group is not comprised of your typical corporate compliance lawyers or traditional litigators. “We exclusively represent clients in a highly regulated industry who are dealing with compliance issues or investigations, and litigation is one of the tools we use. 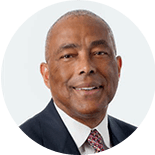 That’s what makes us special.” Prior to Troutman, Taylor spent four years as deputy attorney general in Virginia where he led four divisions of lawyers worked on national investigations, including the national tobacco settlement. During his tenure in public service, Taylor says, he came to realize that clients needed guidance on compliance issues from someone who understood the regulator’s perspective. His future practice area was taking shape.